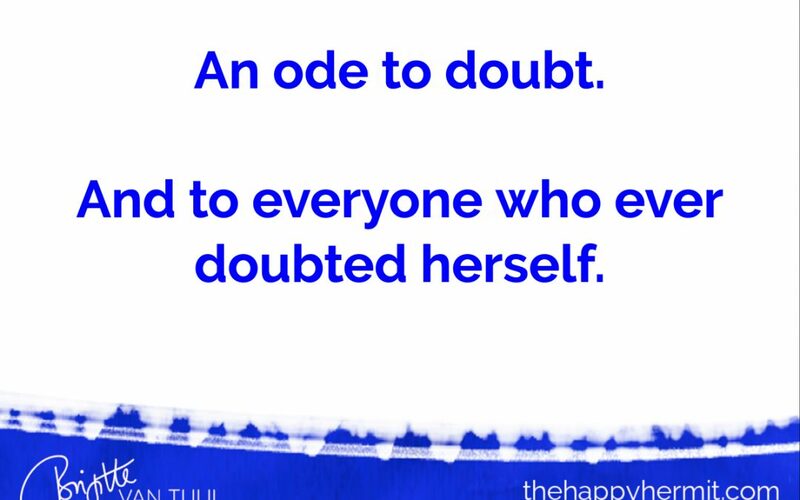 An ode to doubt. And everyone who ever doubted herself. They are part of EVERY creative process. 🌀Sometimes, your doubts show you which beliefs about yourself you can let go of. 🌀Sometimes, your doubts show you what you can do to make your creation even better. 🌀Sometimes, your doubts show you where you lost sight of your truth or yourself, and help you get back on track. 🌀Sometimes, they help you take a stand for yourself and your creation – so you can move forward with even more power & joy than before. Your doubts can never hurt or stop you. Without any power but the power you give them. They don’t define who you are. They don’t determine your actions. And they don’t diminish nor determine the value of whatever you’re doing or creating. Choose to let your dreams rule your world and dictate your actions. Choose to follow your soul. P.S. : My coach sent me this beautiful quote after I shared some doubts that came up for me while working on my book.